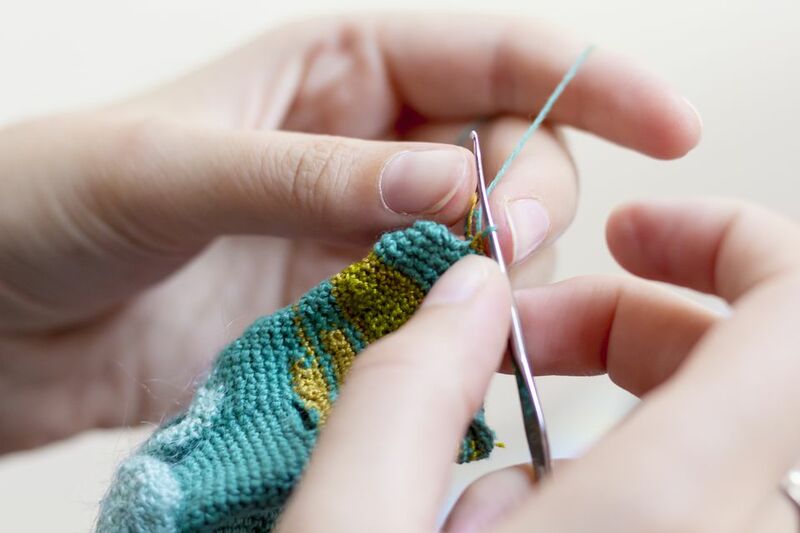 If you think you might like to try a creative hobby, but you’re not sure which craft is right for you, this brief checklist of considerations will help you determine whether or not crochet could be a perfect choice. Is Crochet an Affordable Hobby? The short answer: yes. At least, it’s as affordable as you want it to be. Your budget is (almost) irrelevant; you can spend as little, or as much, as you want to. You won’t need to invest much money when you get started with crochet. You can buy a quality crochet hook for under $5.00. Yarns and threads are available at a variety of price ranges. High-end yarns can get pricey, but you don’t necessarily need them; you can crochet with free materials such as cut-up plastic bags, or recycled materials such as fabric strips cut from old clothes or linens. There are plenty of other innovative possibilities as well. If you have some cash to spend on yarns, threads, and supplies, your options do expand greatly. When you’re getting started with crochet, there is no need to spend a lot of money on patterns or instructions. You can find numerous free instructional crochet videos on the Internet; you'll also find an abundance of free crochet patterns. So, the answer to the question “Can I afford to learn how to crochet?” is YES! You can! Which Do You Prefer: Flat Surfaces or Textured Surfaces? If you like textured surfaces, crochet is going to be right up your alley. When you crochet, all your projects will be textured, even if you start with a fairly smooth yarn and a basic stitch like single crochet. If you prefer flat surfaces, there are other crafts you might enjoy more than crochet – perhaps sewing, scrapbooking, drawing or watercolor painting. Your patience level will contribute greatly to your success or failure with crochet. Impatient people can crochet, but it might not come as easily to them as it would to a person who has patience. If you want a new hat, you could go to the store and buy one – instant gratification! At best, the whole process will take hours. It might take several days, or even weeks, or maybe even months. The time frame depends on many factors, the most important of which is how much effort you devote to it. If none of that sounds too daunting, you’d probably enjoy crochet. we hope you’ll give it a try! If you suspect that you’d lose patience before you even find a hat pattern you like, crochet might not be the ideal hobby for you – unless of course, you want to design your own hat patterns, which is definitely an option. Do You Have Basic Math Skills like Counting, Addition, Multiplication? Counting is an essential skill; you’re likely to need it for every crochet project. Knowing how to count isn’t the hard part; there’s always the temptation to not bother with counting your stitches, and resisting that temptation is the hard part. Basic math skills are also helpful, but not essential to start out with. At the beginning level, you won’t need much math beyond the ability to count. If you work from patterns, the pattern designer will typically have done all the math for you. If you want to work from stitch dictionaries, you might need to use a bit more math; you’ll often use simple multiplication and addition to calculate a starting chain at the beginning of your project. Feel free to use a calculator if necessary. Mathematical ability is more important, and a real asset if you want to get into designing your own crochet projects and patterns. Even so, you can accomplish quite a bit of interesting crochet work without getting too mathematical. If you'd like to give crochet a try, the next step is to learn the basic stitches and techniques. If you don't have access to a crochet teacher, or if you want to get started immediately, the easiest way to do so is by watching crochet videos. Start with the video for the chain stitch. Happy crocheting!